Fabulous pants!!! I love it! Such a unique piece. And you put the entire outfit together very nicely. Thanks love. Hopefully the weather gets betters. I hate when the weather ruin my plans. Thanks for visiting. 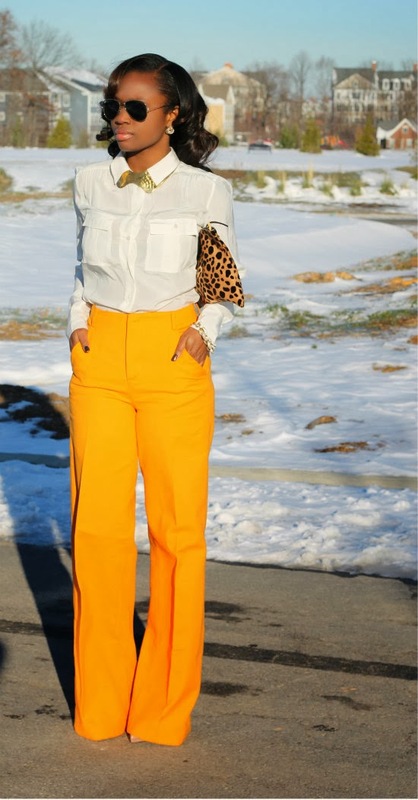 I love the bright colored pants against the snow background. 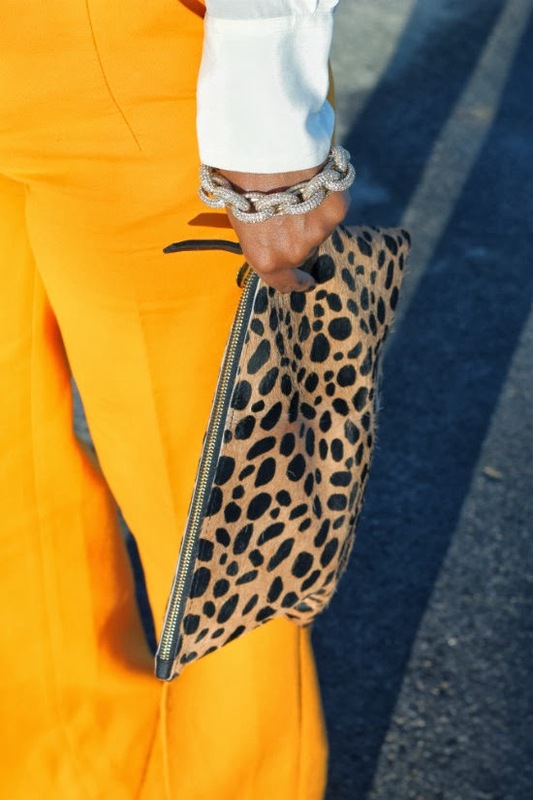 You made Winter look much less dreary and the leopard clutch is perfection. Thank you Brittiny. These pants are now one of my faves. Thanks for stopping by! u ar lukn super hot, i love it!!! Thanks lovie, I appreciate it. Thank you! Yes the pants are a definitely a winner! These pants are amzballs!!! the color and the wide width is perfection! I love that you paired it with a leopard print clutch as well. Thank you Heather, I'm glad you liked it. Thanks for visiting me! This just proves that it's smart to get an amazing item even if it's not the right size, if it can be altered and your mom did a great job altering because the fit is perfect. You look beautiful & well styled! You look fabulous! I love how you added a textured piece! 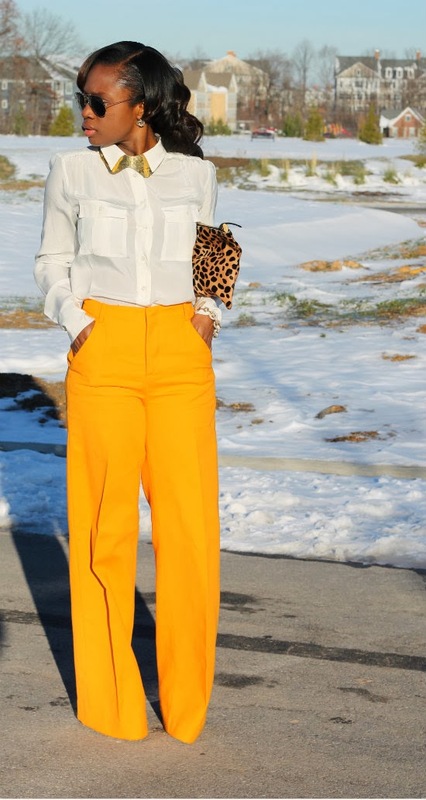 I Love the style and I love your pants ! 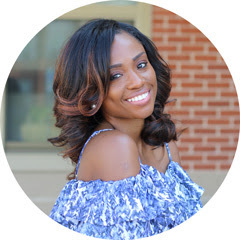 i'm a new follower of your blog via bloglovin! GORGEOUS!! from head to toe! Nice, nice, nice, I totally love !!! Yass those pants!!! Love this look!